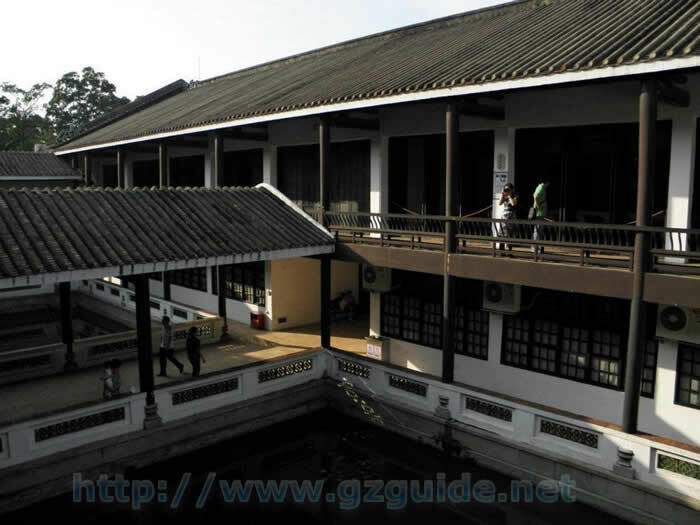 Located on Changzhou Island which is a small and peaceful island located in the Huangpu district, east Guangzhou. The western exit of the island is linked to Guangzhou University Town by a bridge. 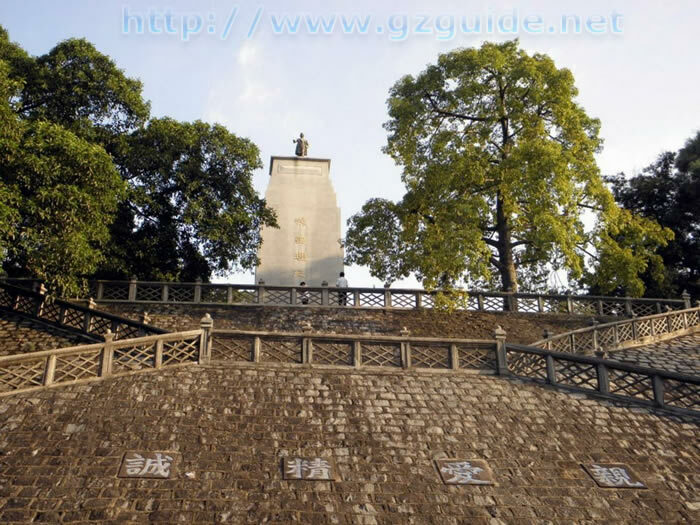 Many cultural relics and attractions including the Huangpu Custom's relics of the Qing Dynasty are situated there. As a natural island, beautiful green landscapes with ancient residences are everywhere. You can appreciate the passing fishing boats on the river. 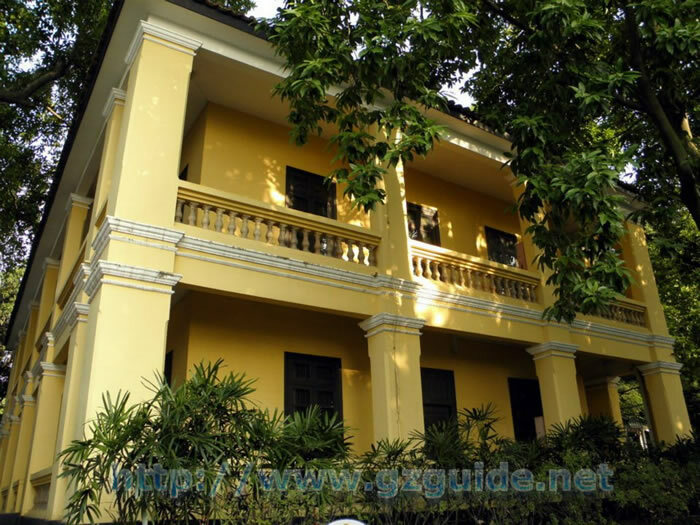 Huangpu Military Academy was a new-typed school for the revolutionary military officers. It was set up in 1924 by Sun Yat-sen with assistance from the Soviet Union and the Communist Party of China, taking ‘Create the revolutionary army to save the periling China’ as its philosophy and ‘Love and Good Faith’ as its directive. It moved to Nanjjing in 1930. The school’s major building on the original site was destroyed by the Japanese air bombing in 1938, and the rest were seriously damaged. After the founding of the People’s Republic, the original site was put under protection and repaired for several times with government loans. It was announced by the State Council in 1988 as a key historical relic protected by the state. And the school board building of the academy was rebuilt in 1996, with an area of 10,600 sq. meters. At present, the restored buildings that are open to the public are: the front gate of the academy, the school board building, Premiere Sun Monument and his memorial chamber, the club, the swimming pool, cemetery of the martyrs died in the Eastern Expedition, Monument to the Northern Expedition, Jishen Park, Jiaosi Pavilion and so on, totaling over a dozen. Held there were exhibitions like History of the Military Academy, Historical Relics of the Eastern Expedition and the Sun Yat-sen’s Revolutionary Activities in Guangdong (photo and picture exhibition). 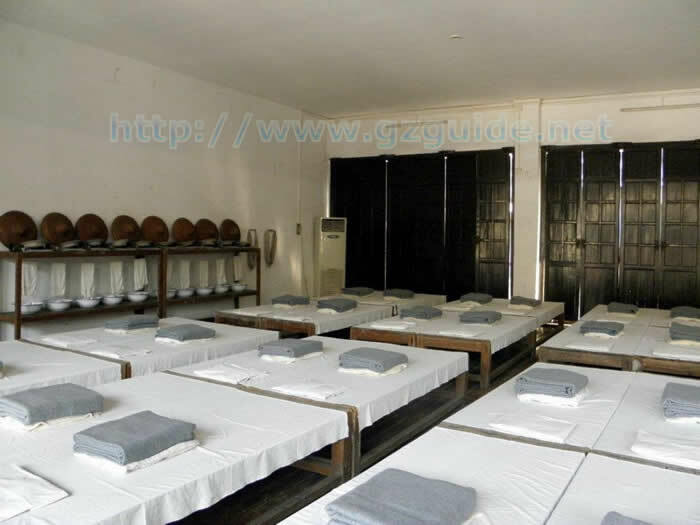 The military training camp for teenagers has been set up for military training. It has a rich collection of historical relics, written works and pictures for earnest scientific research. Publications include works, essays and other information, such as Huangpu Military Academy, Historical Information of Huangpu Military Academy and the like, totaling up to one million words, with certain social influence. Take subway line 8 and get off at Pazhou Station. Take bus line 262, get off at Xinzhou Ma Tou Station and take a ferry at Xinzhou Port.